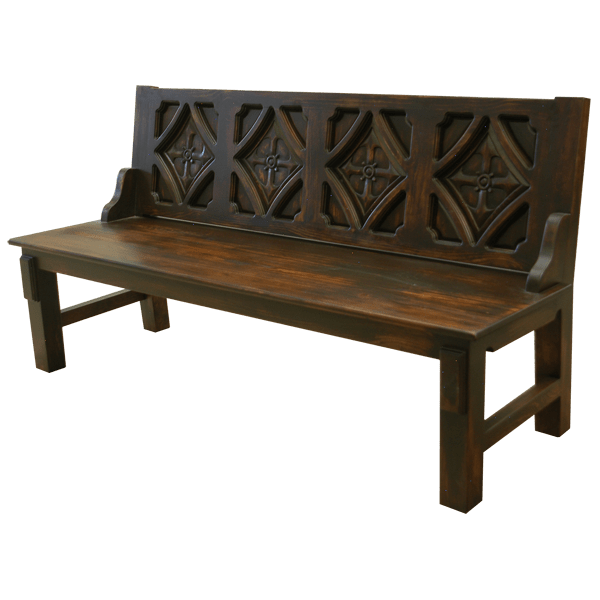 This magnificent, handcrafted, Spanish colonial style bench can be combined with our Santa Maria bed (bed65) and with our Santa Maria buffet (buff05). 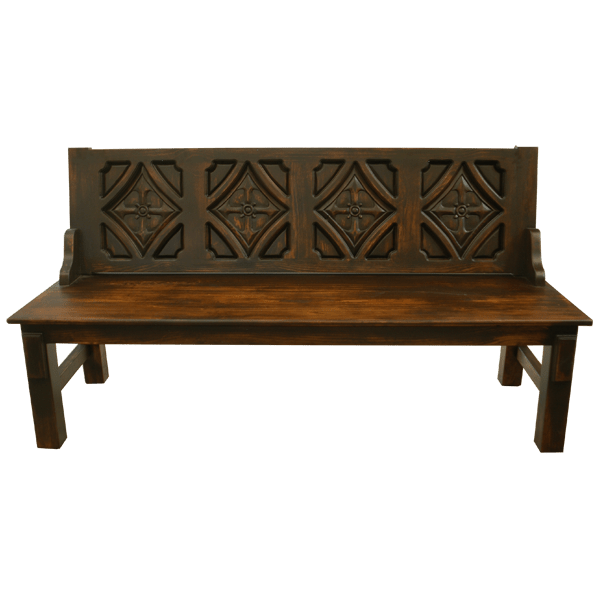 The bench has a rectangular, solid wood, seat back, and the seat back is adorned with four panels. Each panel is embellished with a raised, hand carved, diamond design, with a hand carved cross in its center. The wide, solid wood seat is supported by robust, square cut legs. 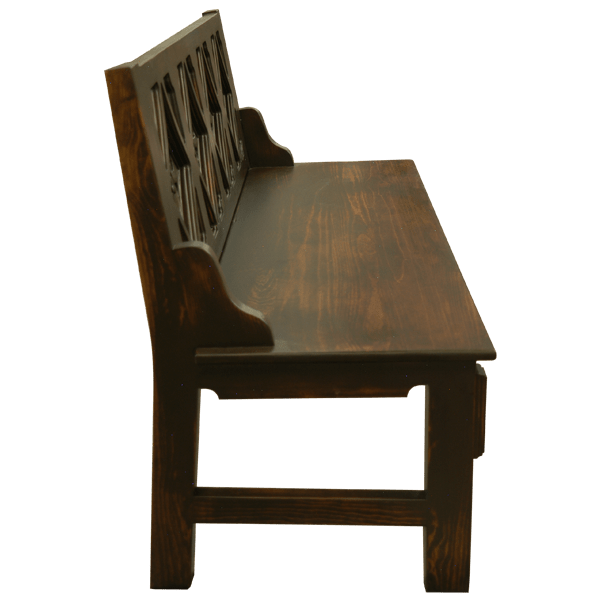 The bench has a beautiful, antique finish, and it is made with the best, sustainable, solid wood available. It is 100% customizable.